I think of Italy as a sensual place. When I say “sensual” in this context, I mean to experience with the senses. There is much to learn from and experience when you visit Italy. These wonderful experiences are to be savored and enjoyed. I’ve met two new friends who share the desire to savor all that Italy offers. 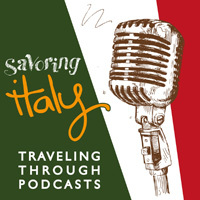 Lora and Megan created Savoring Italy, “a virtual and aromatic journey featuring only the best and most authentic of Italy showcased around the world.” Their topics include: Regions, Food, Wine, Personalities, Products, and Travel. 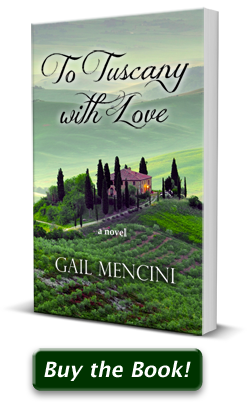 Lora and I had a fun podcast chat together about the flavors of Tuscany and my novel, To Tuscany with Love. Lora is from Sicily, and one of our topics was discussing the food of Tuscany, which is quite different from that of her native area. Lora’s husband is an Italian executive chef and she worked in her family restaurant, so food is obviously of great interest to her. You can listen to our podcast chat through the link below.